More Efficiently with a Ductless Mini-Split System. Proper insulation and air sealing can help you stay warm during the winter and cool during the summer months. A no-cost energy assessment is the first step. 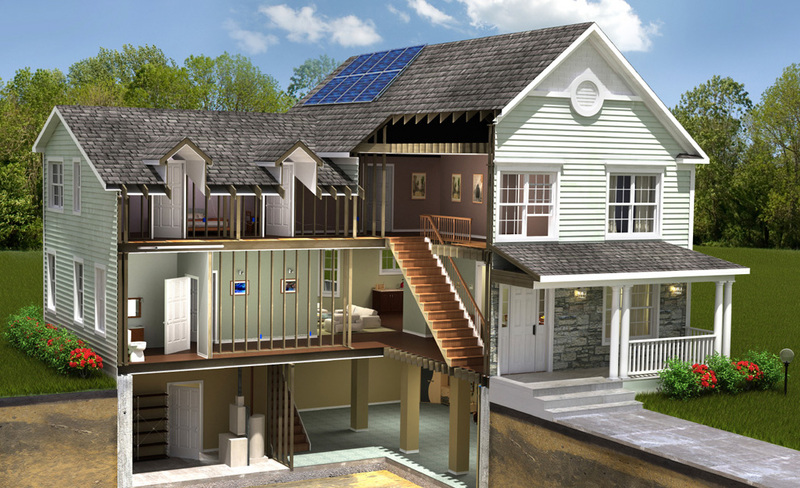 Gain control of your rising home energy costs. 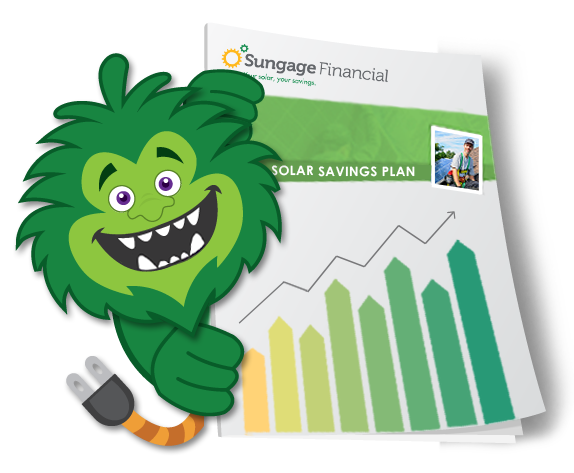 Go Solar and save 20% or more on your energy bills. Schedule your free solar assessment today. Air infiltration can account for 30 percent or more of a home's heating and cooling costs and contribute to problems with moisture, noise, dust, and the entry of pollutants, insects and rodents. Properly air sealing such cracks and openings in your home can significantly reduce heating and cooling costs. Infrared thermography is a well-accepted method of imaging and evaluating the thermal efficiency of building insulation, doors, windows and other penetrations, along with the performance and condition of heating and cooling systems. Temperature deviations which may indicate larger problems are rendered visible, allowing improvements to be carried out with certainty. Nationwide, artificial lighting consumes about 10% of a household's electricity use. Use of new lighting technologies can reduce lighting energy use in homes by up to 70%. Upgrading just 15 of the inefficient incandescent light bulbs in your home could save you up to $50 per year. Energy efficient door & windows helps keep air where it belongs: outside air, outside and conditioned air, inside. Ineffective doors and windows may have gaps through which air is escaping or may have a minimal insulation value. This of course compromises comfort and energy efficiency. It is recommended by the Department of Energy that homes within the Northeast be insulated with at least an "R-value" of R49. What is R-value? R-Value is a measure of thermal or heat resistance per inch used in the building and construction industry. Most homes within the northeast have improper insulation types and thicknesses. What types of insulation are there? How does my insulation stack up? Solar energy is clean, easy to make and costs less the energy you buy from your utility company. When your home is solar-powered, you can rest assured that you're being both economically and environmentally efficient. 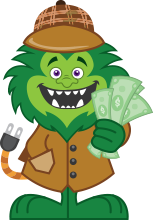 Energy Monster will ensure that you're getting the most energy, return on investment,and most joy and pride each time you see a beautifully sunny day! Call (855) 627-7674 to get started! Or fill out the form below. Start by Scheduling Your No-Cost Home Energy Assessment Today! Are there rebates available for solar installations? Yes! 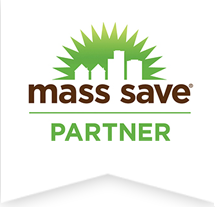 We’re an approved Home Performance Contractor for Massachusetts. That means that we’re not only qualified at what we do, but we’re able to offer you Rebates of up to 75% off of your project. Learn more about available rebates. Yes! 100% financing is available subject to credit approval. Apply Online Now! 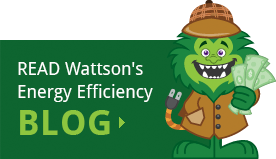 Your local green expert when it comes to improving a home's energy efficiency and comfort. 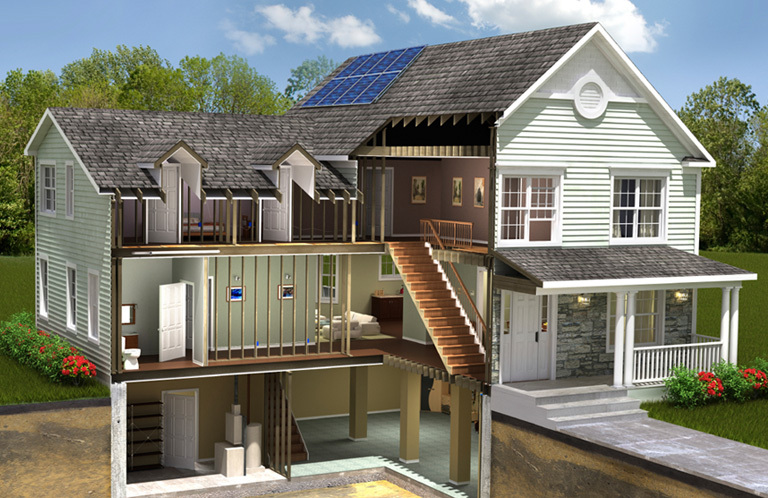 We help homeowners by offering leading-edge home performance solutions that save energy and lower utility bills.